"When I am quietly tucked in my bed...snuggling in my warm blanket...that's when she will come to see me. 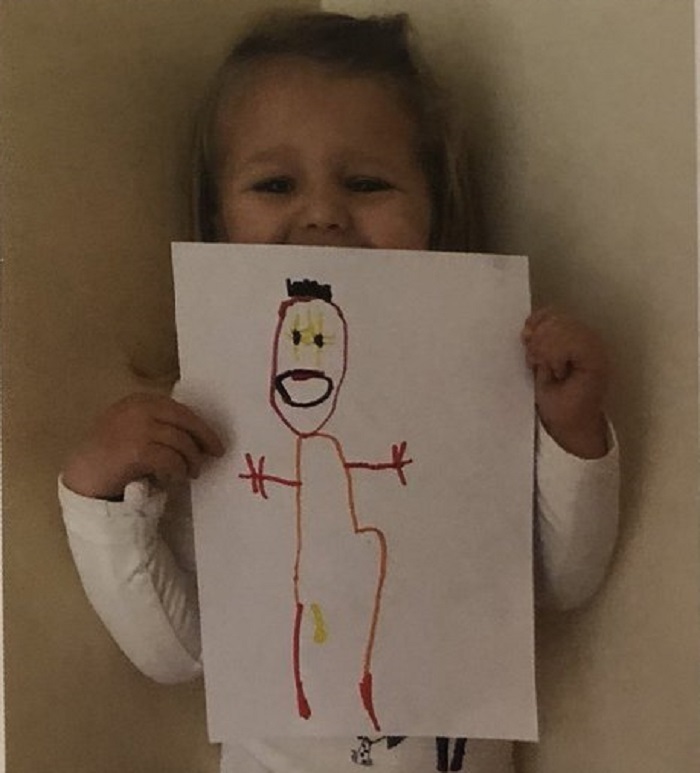 Yes, she only comes to me at night-time..." Imagine this is what a 3 years old little girl has been seeing every single night. OK...I made up the first half part of the excerpt, but the part that she said, "SHE ONLY COMES TO ME AT NIGHT-TIME" is for real. 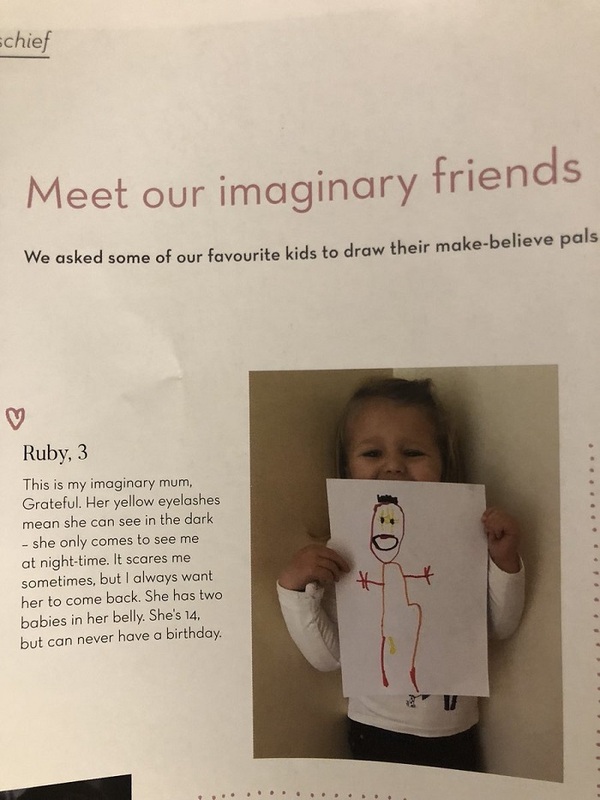 I am terrified to read that she has been seeing her "imaginary mother" for quite some time now. Aren't you feeling spooked too? Ruby...I will pray for you. I told you guys that we should not let kiddos watch too many horror flicks. 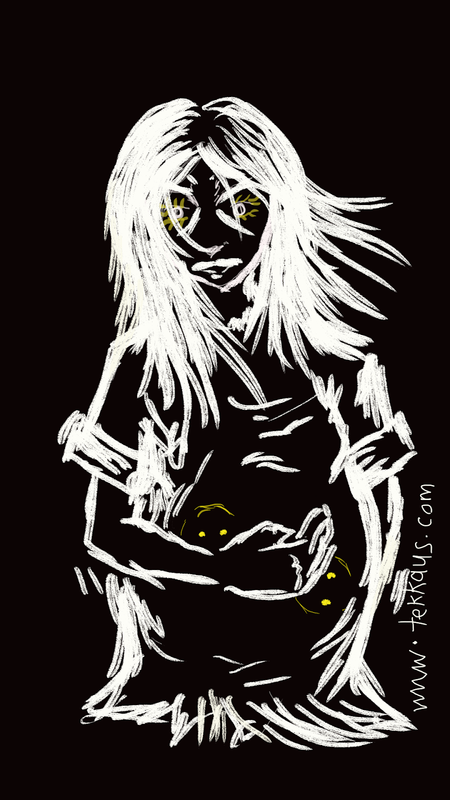 Or is there something wrong with her milk formula, causing her to hallucinate? Still I think this is way too much for a 3 years old to bear. The worst part is...she hopes that her Imaginary Mother will come and see her again...every single night. DAMN! Ruby's haunting description of her Mama...really reminds me of the ghost movie-Mama. Mama! One of the best ghost movies ever. So do you have any special and unique imaginary friend(s) that you want to talk about? Please share yours...So don't sleep tonight.